EXTON, Pa., April 1, 2016 – AGC Chemicals Americas Inc. will feature LUMIFLON® fluoroethylene vinyl ether (FEVE) resins for industrial and architectural applications at the 2016 American Coatings Show. Topcoats formulated with LUMIFLON resins are ultra-weatherable, offering outstanding gloss and color retention and protection from UV light, wind, rain and corrosion. 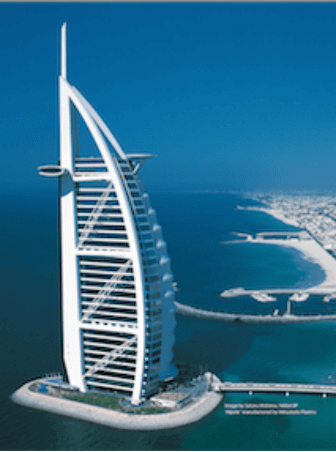 LUMIFLON-based coatings ensure a longer life on building exteriors and facades, bridges, aircraft, automobiles, water towers and solar panels, resulting in less need for repainting and a substantial decrease in lifecycle costs. Used in paints and coatings for more than 30 years, LUMIFLON, a transparent fluororesin, can be used to make both clear and pigmented coatings in more than 230 colors in high-gloss to flat finishes. In addition, LUMIFLON resins are the first solvent-soluble fluoropolymer resins for coatings that can be cured at room temperature or at elevated temperatures, making them suitable for both field and factory application. Depending on the substrate and environment, LUMIFLON-based coatings can be formulated to last 30 years or more. LUMIFLON resins are available in conventional solvent grades, as well as powder form, water-based resins and solid resins for the production of low-VOC and HAPS-free environmentally friendly coatings. 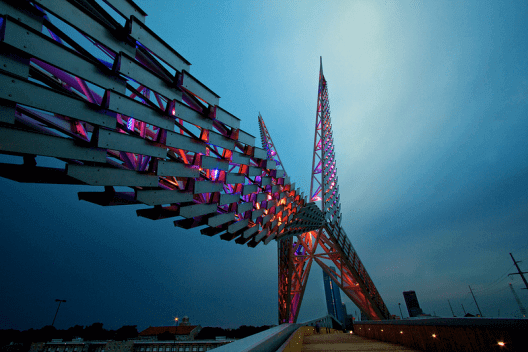 Skydance Bridge, Oklahoma City, Okla. The American Coatings Show & Conference is the leading North American industry exhibition and conference for the coatings, paints, sealants, construction chemicals and adhesives industry. The exhibition and trade show will take place April 12-14, 2016 at the Indiana Convention Center in Indianapolis. 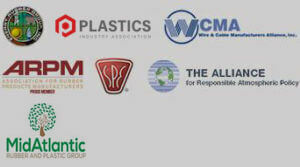 ACS is organized by the American Coatings Association and Vincentz Network. For additional information visit: www.american-coatings-show.com/en/.